I think if you were just choosing between Phil Jackson and Mike D’Antoni, Jackson wins 100% of the time. However, this situation was a bit different. Jackson “wanted the moon” as the stories suggest. Reports say that he asked for final-say on personnel decisions, travel/practice restrictions, and perhaps even equity in the team. All three of those demands are red flags. pulling off some of the most one-sided trades of all time (Gasol, Nash, Howard). Phil isn’t a slouch when it comes to talent-evaluation, but that demand is a lot of power to give up. Teams don’t always thrive when the coach is also acting as the GM. Travel/Practice restrictions: It’s understandable that Jackson wanted these restrictions. He flirted with this idea in the past as well. Jackson wanted to attend road games at his leisure, as well as team shoot-arounds. The travel restrictions were an effort to ease the grind of the season on his aging body. This measure kind of makes him a part time coach though. The Lakers would already be implementing a new offense, which would take time to install, and that task would now be more difficult with Jackson not there half the time. the next owner of the L.A. Lakers? that there aren’t other investors in the Lakers who own small percentages. 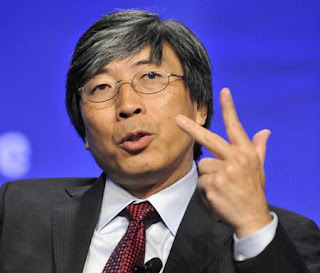 If Soon-Shiong bough AEG, he would own 45% of the Lakers. Combine that with any equity Phil would be getting, plus shares to investors we don’t know about, and the Buss family would be in jeopardy of losing their controlling interest in the Lakers organization. That is clearly something that they would not want to do. Don’t get it twisted. Jackson would’ve been a great influence on the team, and maintained their ability to win a championship this year. However, the idea of giving up so much non-basketball related power is simply not worth it. The Lakers made the right choice in signing D’Antoni. His commitment came with far less strings attached than Phil Jackson’s did. We are also quick to forget how beaten up and exhausted Phil Jackson was after 2010. The spirit and drive to coach simply wasn’t there anymore. He tried to squeeze the most out of his team, but there was simply no juice left. Jackson wouldn’t come back to coaching unless it was on his own terms. He really has nothing left to prove in the NBA. He’s the best coach of all time. Nobody questions that. With 11 titles, it will be a long time before anyone else catches up to that record. wanted to assemble a super team like Miami had done. 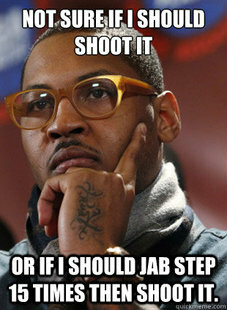 The Amare Stoudemire + Carmelo experiment was a disaster, and to this day, still is one. Jeremy Lin stepped up and injected new life into the Knick’s franchise, running D’Antoni’s offense. However, Melo was quick to get jealous of the attention Lin was getting in the media as well as the shift in the focus of the offense to Lin. Melo made some moves and had a hand in getting D’Antoni ousted, replacing him with Mike Woodson, who would stick to running iso’s for Melo in the half court. With this Lakers team, D’Antoni has a lot of things working in his favor. – He has the respect of Kobe Bryant from D’Antoni’s days playing with Kobe’s dad in Italy. – He has his old PG, Steve Nash, who with the help of D’Antoni won back-to-back MVPs running this offense. – He has coached Dwight Howard before on Team USA, and the principles of his offense play to Dwight’s strengths. Dwight, more than anything else, is a guy who likes to have fun. There probably isn’t an offense that is more fun to play in than this. – He has Pau Gasol, who is an extremely versatile player. Pau is an exceptional passer, has high basketball IQ, doesn’t need shots, and can knock-down mid-range jumpers with ease. – While the Triangle is a complicated offense that many of the players would have taken a long time to get accustomed to, D’Antoni’s offense will be extremely easy to grasp for everyone, specifically the Lakers putrid bench. – D’Antoni’s offense has a way of getting the most of out of irrelevant bench players as well. See: Channing Frye, Jared Dudley, Al Harrington, and Nate Robinson. The Lakers have a ton of irrelevant bench players. Obviously the defense will still be an issue early on, but I can see it improving as Dwight gets healthier. In Orlando, Dwight’s teams tended to rank well within the top 10 in defensive efficiency. Starting from the 06-07 season, the Orlando Magic with Dwight Howard ranked 7th, 5th, 1st, 1st, 3rd, and 14th in defensive efficiency, per hoopdata.com. That weird 14th ranking last season because Dwight was hurt for much of that season. This amazing run of defensive numbers occurred when Dwight had teammates like Hedo Turkoglu (notoriously one of the worst defenders in the NBA), Jameer Nelson (built like a leprechaun), and JJ Redick (remember when this happened? How about this? ). Overall, the decision to hire Mike D’Antoni over Phil Jackson came down to everything except for basketball. Phil Jackson asked for a lot in return for his services, and the Lakers were simply not in a position to cede that much organizational power. Jackson was not out of bounds for requesting what he did, and the Lakers were not foolish to deny his requests. They could’ve waited and negotiated Jackson down, but because the season has already started, time was not on their side. Considering the circumstances, the Lakers made the right decision. Props to them for saying no to the greatest coach of all time. That takes some serious balls. Make no mistake, Mike D’Antoni is an excellent 2nd option, and will help the Lakers get to the NBA Finals this year. « What if the Oklahoma City Thunder Traded Russell Westbrook instead of James Harden? Hello, just wanted to mention, I enjoyed this article.